Best-selling author Carol Plum-Ucci received the Michael L. Printz Honor for The Body of Christopher Creed. 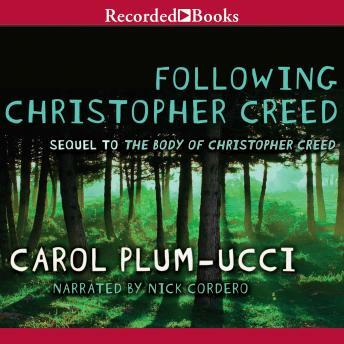 In this intense follow-up, Plum-Ucci returns to Steepleton, where the disappearance of Christopher Creed exposed the town's darkest secrets and moral failings. Still devastated by the loss of his brother, Justin Creed continues to search for an explanation, even as his fragile mental state continues to disintegrate.